Dean & Britta have provided a remix of the track International Velvet Theme to The Right Track: Tunes to Target Cancer which is "a series of concerts, events, and music download[s ...] to help raise funds for rare and underfunded cancers". The series also includes tracks by Ween, Linda Thompson, Buffalo Tom and The Cowbly Junkes (and more). 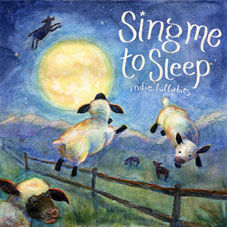 And while we'rementioning Dean & Britta's sharity contributions a quick reminder that they have also have a track on the forthcoming Sing Me to Sleep compilation of "Indie Lullabies" for The Valerie Fund. You can hear and download Dean & Britta's contribution, Making Me Smile, on Muruch.com and pre-order the album from American Laundromat.